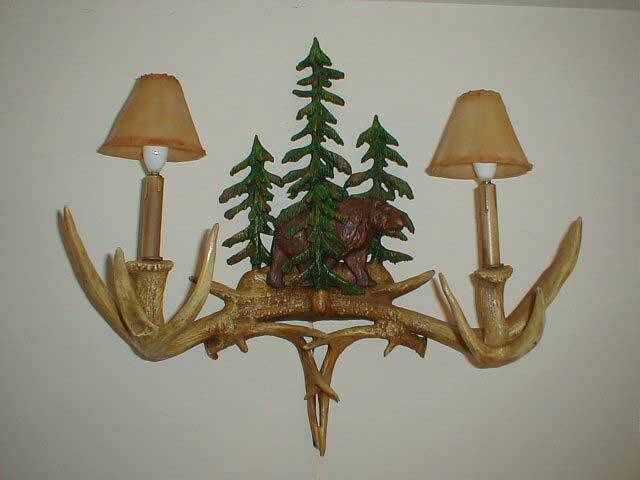 Description: horn with animal in tree 2 light \. Resin &steel. Shades extra.